We have few treasures around our coastline as iconic as the arcing sweep of coastline known as Mangamaunu just north of Kaikoura. On a flat day it's beautiful: a shimmering blue sea lapping up to a dark rocky shoreline that is separated from the jagged snowcapped peaks of the Seaward Kaikoura Range by a band of thick green bush clinging to the steeps. It's the quintessential essence of clean, green New Zealand – often made famous by the tail flukes of a sperm whale in the foreground. With a swell filling in from the east or northeast and winds from west, southwest quarter the bay transforms into one of the most magical surf spots in the world. The righthand point break begins across a sectioning reef before turning into the bay and bowling up with a wall that has etched permanent memories on those lucky enough to surf this place. It's no surprise to learn it's one of 17 nationally significant breaks listed in Schedule 1 of the New Zealand Coastal Policy Statement. That affords it the highest protection – akin to that of Te Mata peak or any national park. But it appears that isn't going to be enough. In the aftermath of the November 2016 7.8 earthquake, emergency legislation was passed to help speed up restoration work. This temporary legislation stepped around the Resource Management Act (RMA) and vetoed any consultation processes. Its intention was honourable. Unfortunately, the legislation has been manipulated in efforts to add a cycleway into the Mangamaunu foreshore. And to build that cycleway the North Canterbury Transport Infrastructure Recovery Alliance (NCTIR) and, more recently KiwiRail/NZTA, admit there will be an adverse effect on the surf break. Save Mangamaunu and SPS chair Annie Bermingham has been one of several people leading the charge on fighting for democracy and striving to give Mangamaunu back the protection it is due. "We're not against a cycleway," she explains. "We'd use it ourselves. This is about putting it through the right processes and the RMA serves this purpose." She said that running it through the RMA would ensure it was designed so it didn't have an adverse effect on the surfbreak and the community would be involved all the way through. By its own admission in a recent Kaikoura District Council meeting, NCTIR repesentatives admitted the emergency legislation would "remove the power to challenge" when questioned if the surf community's reaction was a showstopper. Furthermore, a few weeks before the emergency legislation window closed at the end of March, the consent was amended to allow for a further 4m encroachment on the surfbreak – allowing up to 20m encroachment. It was accepted and will stand for 35 years unless revoked at the highest levels. And that's what Annie, more than 4500 surfers so far, Te Runanga o Kaikoura, Mangamaunu Marae (Maori Landowners from Hapuku to Clarence), Kaikoura Boardriders and Mangamaunu Preservation Society want. Those groups have all requested it go through the RMA process. "We intend to take this to judicial review," Annie states. "We have no choice, but that does come with significant legal fees." 1) Donate some funds to help with the legal fees. Almost $12,000 has been raised so far. You can donate here. 2) Sign the petition requesting the misused consent to be withdrawn. 3) Like and share the Save Mangamaunu Facebook page which is keeping everyone up to date with developments as they happen. 4) Most importantly, send a letter to the relevant ministers of the Crown urging them to repeal the consent to alter the Mangamaunu foreshore without reference to the RMA or public consultation. You can do that right here. 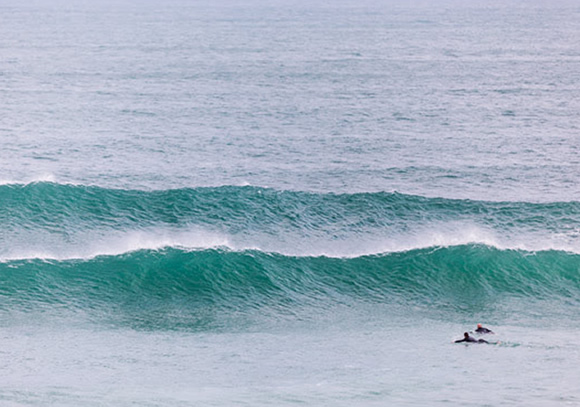 Thanks in advance and may the good karma return to you one day with one of those unforgettable waves at that iconic New Zealand surf break that you helped to protect. PS One of our most promising Kiwi surfers, Billy Stairmand, of Raglan, is running a cool fundraiser that gives you a chance to win a swag of his surf gear including one of his boards. For every $20 you donate to his 2018 WQS campaign you have a chance to win the lot. Plus, he's donating a portion to breast cancer – a cause close to his heart. Do your bit for New Zealand surfing, help get another Kiwi on the World Championship Tour (and that'll secure his place at the Olympics). Donate here.